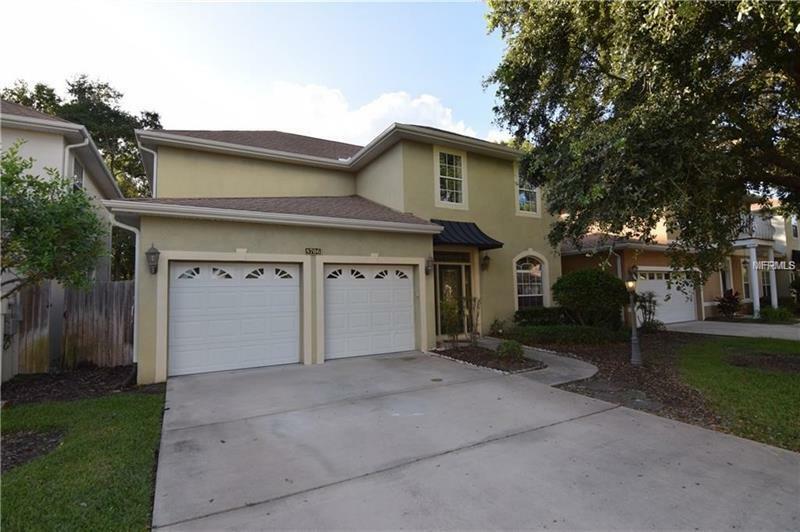 Welcome to this home which features 18 ft ceilings in Great Room, Master Suite downstairs with huge walk in closet, extra large custom kitchen with solid wood cabinets, granite counter tops, which opens to oversize deck to relax & watch the beautiful Florida sunsets. Home is conveniently located near I-275 just minutes from the Veteran's Expressway, Airport, Shopping, Hospitals, Beaches... Home sits in 11 home gated community across from the community pool. Wood Shutters in Living room & blackout shades in Master Suite, built in book cases in Reading Area. Private mature landscaping with custom concrete pavers. This one owner home has been well maintained and shows true pride of home ownership..